Persian Tribal Kamu or Kamo probably made by one of the Bahtiyari sub groups. 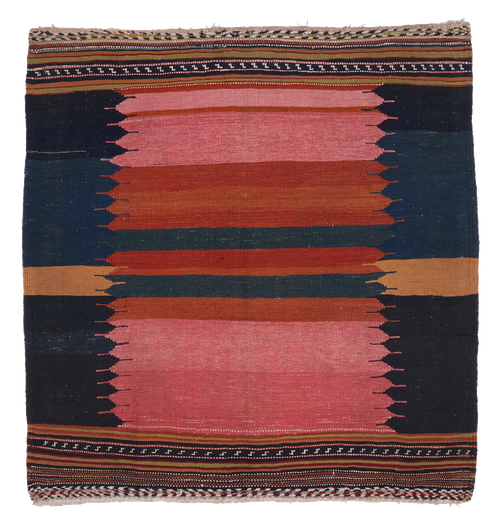 These plain weave kilims were used to prepare the bread dough. Wonderful minimalistic design and colours. Some brocade on two borders.